West Virginia offers both fault and no-fault grounds for divorce. If the parties agree on the divorce, or one spouse can prove abuse or adultery, the marriage can usually be dissolved without delay. Other grounds, such as separation and desertion, require the parties to complete a waiting period defined by law. Regardless of the grounds for divorce, the existence of marital misconduct may be considered by the court as part of spousal support and custody proceedings in West Virginia. If you and your spouse agree the marriage is over, you may pursue a divorce based on irreconcilable differences in West Virginia. This is a no-fault action, which requires only that both spouses attest the marriage relationship cannot be salvaged. No corroborating evidence or proof is required and the divorce can proceed immediately. As an alternative, the state offers an additional no-fault ground of voluntary separation if a couple cannot agree. This ground requires a separation period of one year, based on the voluntary act of one spouse to separate for the purpose of obtaining a divorce. By law, the parties must maintain different residences during the separation period. West Virginia also provides traditional fault grounds for divorce, including adultery, cruelty and desertion. Unlike a no-fault divorce, a period of separation is not required before an injured spouse may file on these grounds. But the ground of desertion requires your spouse to be absent for six months, which operates similar to a waiting period. Also, fault grounds must be proven, which generally requires more than your testimony alone to establish the misconduct. Corroborating evidence might include witness accounts, bank statements showing payments made to support an extramarital affair or a criminal conviction for abuse. If your spouse has committed child abuse or neglect, this can be the basis for a divorce in West Virginia. This ground is somewhat unique to the state and requires a showing that either physical or mental harm was inflicted on the child or the parent willfully failed to provide support. Support includes covering basic needs, such as food and shelter, as well as ensuring a child receives sufficient education and medical care. Successfully proving abuse or neglect also prevents your spouse from exercising custody rights after the divorce. In addition to affecting custody, marital misconduct can impact the ability of a spouse to receive spousal support in West Virginia. This is true even if the divorce was filed under one of the no-fault grounds, such as voluntary separation. You may introduce evidence of the misconduct at trial; the court will consider it as one factor weighing against an award of spousal support. If the misconduct is adultery, however, West Virginia is one of the few states that specifically bars a guilty spouse from receiving any spousal support. By contrast, when it comes to dividing marital property, the court will do so equally without regard to fault. This is the case regardless of whether the misconduct was grounds for divorce or established separately at trial. West Virginia Legislature: West Virginia Code §48-5-201: Grounds for Divorce; Irreconcilable Differences. If your spouse is incarcerated in South Carolina, you still can get a divorce under most circumstances. Your divorce will not be much different than it would be from any other spouse. However, the court may take your spouse's incarceration into account when resolving custody-related matters. If you claim separation as grounds for divorce, your spouse can attempt to stop the divorce by claiming the separation was involuntary due to his imprisonment. The felony conviction of a spouse can be disrupting and damaging to a marriage, especially if the convicted person also receives an extended prison sentence. The resulting separation, along financial and emotional strain, can lead to divorce even among previously happy couples. 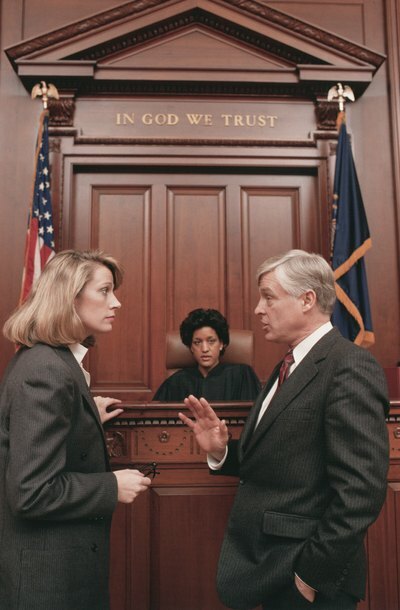 Many states have special divorce rules pertaining to incarcerated felons. A prior felony conviction when a spouse is not incarcerated may also affect child custody proceedings.